The Augsburg Master Builders' ledgers, named after the councilors in charge of the accounts for the Imperial City of Augsburg, are an exceptional serial source of national importance. The books record almost completely the expenditures and part of the revenues of the city and council of Augsburg year on year from 1320 to 1800. The Master Builders' ledgers are therefore not only an excellent source for issues relating to economic and administrative history, but also especially for those relating to social and cultural studies. The great adherence to tradition and sheer uniformity of the entries make the ledgers a particularly suitable source to show where the Augsburg councilors spent money over the long term, such as for maintenance of public buildings, social expenditures, and municipal staff. The German Research Foundation (DFG) has awarded Professor Jörg Rogge of the Medieval History work group at the Department of History at Johannes Gutenberg University Mainz (JGU) a grant of EUR 400,000 for an annotated digital edition of the Augsburg Master Builders' ledgers. The project will be conducted at the Research Unit Historical Cultural Sciences at Mainz University. During the next three years, Rogge and three researchers will inventory the medieval ledgers from Augsburg for the period 1320 to 1466. The handwritten entries are being transcribed and transferred to a modern data entry format. There will also be commentary on relevant issues. Additional information about persons, places, institutions, and further facts will be discussed in the development of the Master Builders' ledgers published online year by year. The Master Builders' ledgers will be presented online in collaboration with the Trier Center for Digital Humanities and the Mainz University Library. The goal of the project is to make the edited ledgers searchable and freely available online. 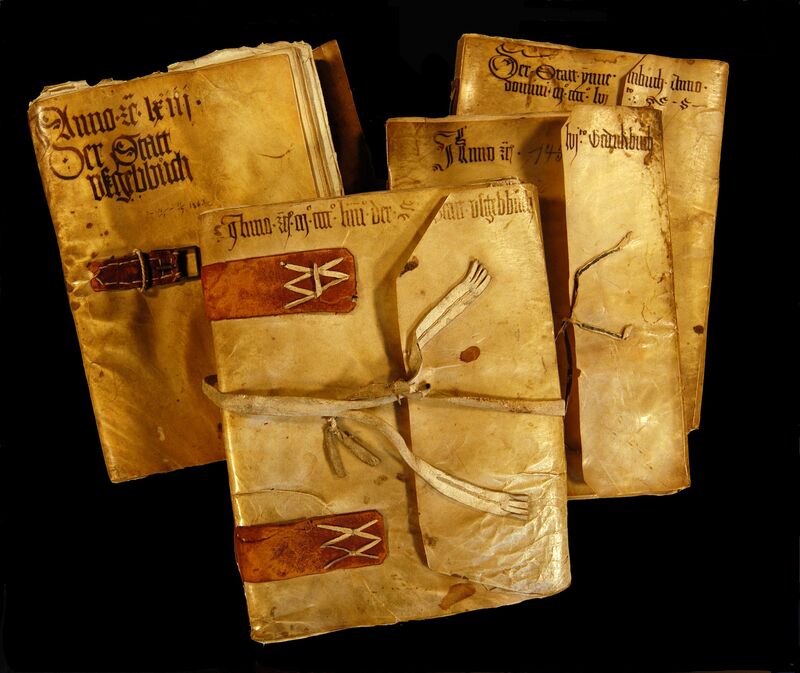 This is an innovative form of processing and presenting these medieval ledgers that will greatly facilitate the systematic analysis of this unique resource. Dr. Stefan Grathoff, Sarah Schrade M.A., Simone Würz M.A.